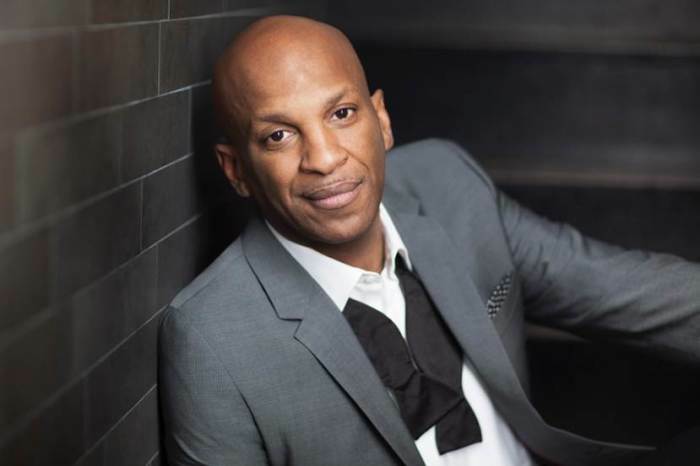 Pastor Donnie McClurkin says the job of the church is not to condemn but to pray for perpetrators of sexual harassment and assault. McClurkin, the Grammy Award-winning gospel singer who leads Perfecting Faith Church in Freeport, New York, spoke about the matter at the gospel music event called The Experience in Lagos, Nigeria, last week. While the singer and preacher acknowledged that sexual harassment was not a new thing, he explained his belief about why it has become such a highly publicized issue in recent months. "The bottom-line is that these things have been going on for a long time. Whether it reaches the church, politics, entertainment, these things are not new," he said, according to THISDAY. "We have to realize that immorality has been part of existence in so many facets that has gotten to this overwhelming volume that is peaking through." The 58-year-old said the church has a part to play in helping people to heal after such traumatic events. "Whether it is the church or not, the job of the church is to pray and to heal, not to condemn or cast away or to cause such embarrassment that renders the person immobile. We have to bring him to repentance if that is the case," he said. "But we haven't been doing that. We have been throwing the persons away and not realizing that what they need is redemption." The topic of conversation has been brought to the forefront after numerous people in the entertainment industry have been ousted for sexual misconduct. Harvey Weinstein, the Hollywood producer known for films like "Gangs of New York" and "Pulp Fiction," was exposed for decades worth of misconduct and abuse in an October New York Times report that served as a catalyst for a number of other oustings of high-profile entertainers and executives. DeVon Franklin, the preacher and Hollywood producer who has been in the business for 20 years, pointed out that the fallout in the entertainment industry serves as a reminder that personal success has nothing to do with public success. "I think that it's not just regulated to Hollywood. Unfortunately, men have to take accountability and responsibility for their actions," he said on the daytime talk show "The Real." "And public success does not mean personal success. Too often men were like, 'hey I'm conquering the world' but haven't taken the time to do the discipline in our private life." He made sure to speak out against the mistreatment of women by men regardless of their position of power. "I believe this is the area where we have to as men be like, 'You know what? Just because I'm successful does not mean I can use that as an excuse to abuse women,'" he said.